PALMER — A 19-year-old accused of fatally shooting his friend in the neck as they sat in a parked Jeep in late January is back in jail after a judge on Wednesday ordered his bail raised to $500,000. Investigators say Jordan Flowers put a Glock pistol to the back of 19-year-old Gunnar Swan’s neck and fired as they sat in the Jeep with a friend around 2:30 a.m. on Jan. 27. The friend, who stayed to do CPR when Flowers fled, said they were picking up three other teens at a party. Flowers was found by Alaska State Troopers an hour later, just as his father came to pick him up. Originally arraigned last week on manslaughter and assault charges, he was indicted last Thursday on first-degree murder charges. Flowers, briefly released from incarceration and wearing a neon hoodie and black jeans instead of prison scrubs, wept and held his parents in a long embrace before Wednesday’s bail hearing. The day before, prosecutors told a judge that in 2016 he put a gun to his mother’s head, according to media reports. Flowers made $100,000 cash-corporate bail on Monday, though he hadn’t been released as of a hearing Tuesday. 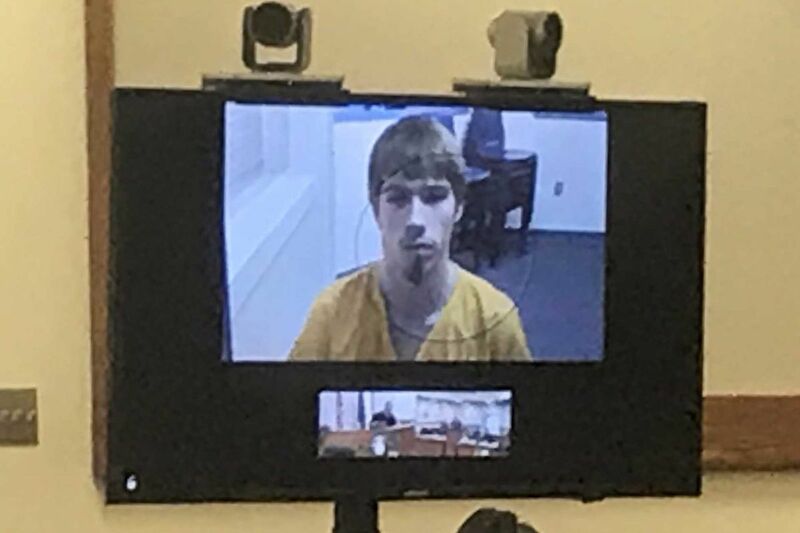 That day, prosecutors requested another bail hearing, telling the judge that Flowers several years ago held a loaded gun to his mother’s head and threatened to pull the trigger, according to a report by KTVA. The case was reassigned Wednesday to Palmer Superior Court Judge Jonathan Woodman at the request of the public defender representing Flowers. Citing “issues that need to be addressed in this bail hearing that concern matters that are confidential as a matter of law,” Woodman closed the bail hearing to news media and the public -- except for Flowers’ parents, who remained inside. The judge also allowed Swan’s family to participate. A family member was listening to the hearing by phone, according to assistant district attorney Rick Allen. The judge did not specify what was to be discussed. A juvenile’s criminal record in Alaska is largely kept confidential by law. Woodman reopened the courtroom for his decision to increase bail to $500,000, putting Flowers back in jail. The decision reflected the new murder charges, the severity of which “inherently increase the risk of flight,” Woodman told the court. “The matters that were discussed in confidential session would also warrant an increase in bail but the court does not find that it has to rely on those in order to reach a decision today,” he said. Flowers turned around in his seat at the defense table, crying, and silently gestured for his mother to come to him. She partly stood but then sat back down. The judge denied prosecutors’ request that Flowers not be allowed to live with his parents on house arrest, saying any conditions of release would include weapons searches. He also denied a defense motion that Flowers get a week to meet the increased bail. A trial has tentatively been scheduled for April. 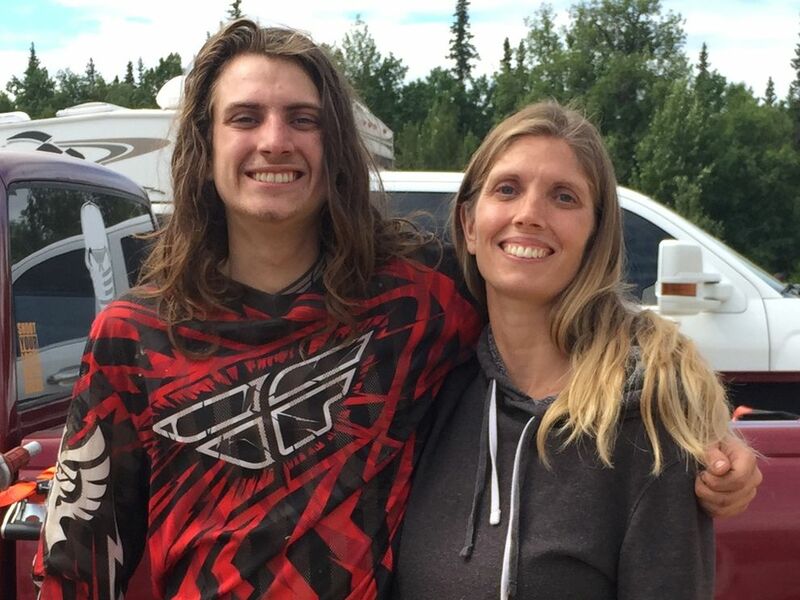 Gunnar Swan and his mother, Monika Swan-Armitstead, at motocross races in Sutton last summer. Swan was killed in a shooting on Jan. 27.